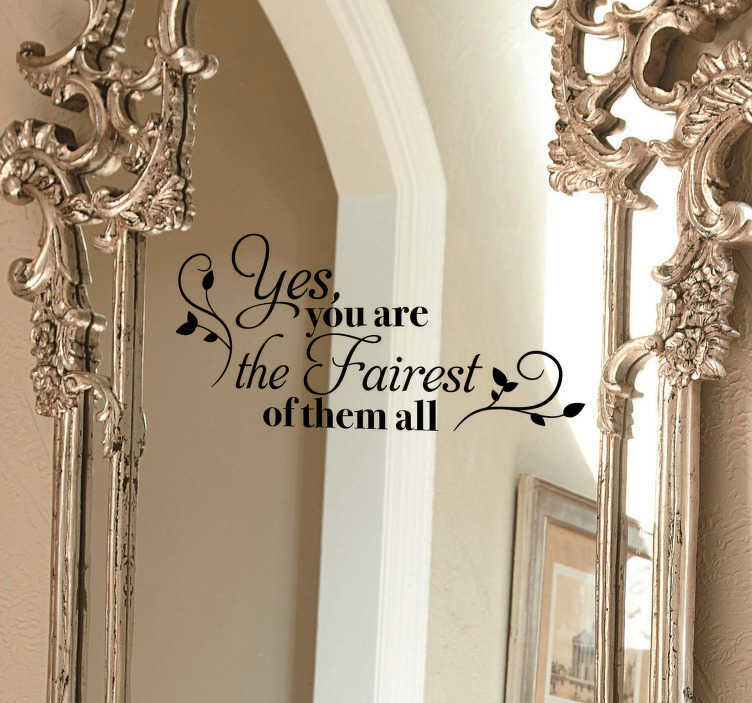 Yes, you are the fairest of them all! That should be the thoughts of every woman or man when they stand in front of the mirror to look at themselves, ahead of, or after a long day, or ahead of a big event, like a wedding, so we have put it on a superb mirror sticker! Perfect mirror decor for those who need a little lift of confidence every time they look into a mirror - Everyone is beautiful, don´t forget!